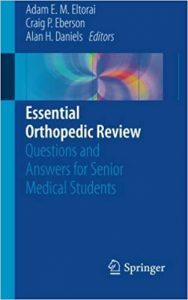 Utilizing a rapid-fire, two-column question and answer format, this is an ideal on-the-spot resource for senior medical students covering a wide range of both general and subspecialty orthopedic topics: anatomy, physiology, presentation and history, pathophysiology, differential diagnosis, physical examination, radiological evaluation, operative and non-operative treatment techniques, surgical complications, rehabilitation and more. 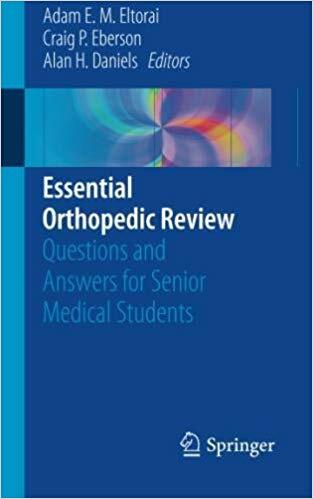 With hundreds of high-yield questions and answer items, this quick reference covers orthopedic basics before moving on to detailed sections on the upper and lower extremity, axial skeleton, pediatric orthopedics, and systemic conditions. The straightforward Q&A format allows for either self-testing or quizzing with partners, whether practicing for a board review or studying up in one’s spare time. While it can be read cover to cover for a general foundation of knowledge, it can also be referred to selectively before starting a new rotation or seeing a patient with a subspecialty attending. Useful as a companion text to Orthopedic Surgery Clerkship and Orthopedic Surgery Rotation, Essential Orthopedic Review is a handy, pocket-sized resource and review guide that can be used by senior medical students, nursing and PT students, primary care providers, and junior residents in orthopedics and sports medicine.